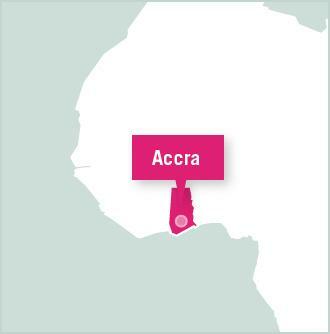 All Global Gap Year participants meet in Accra, Ghana for a one week orientation. Then they spend the additional three weeks in Akuapem Hills, North of Accra, working on a Care placement. 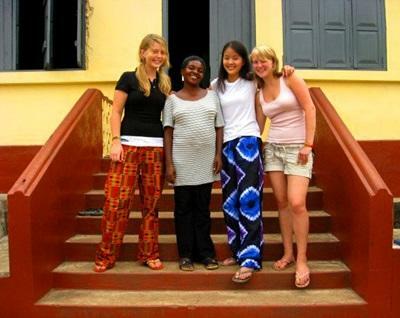 Ghana is an exciting country renowned for friendliness and an ideal starting point for the trip. Volunteers will be met at the airport by a staff member and stay with host families close by to the Projects Abroad office. The orientation will include workshops on culture shock, international issues and common themes you will encounter in all the scheduled destinations. There will be trips to different volunteer projects throughout Ghana and evenings will be filled with cultural events and chances to sample Ghanaian cuisine. There will also be an opportunity to explore tourist sites like Kakum National Park and one of Ghana's historic slave castles to learn about the history of the coastal region. The group will use this time to adjust to life in a developing country, get to know each other and prepare for their time abroad. 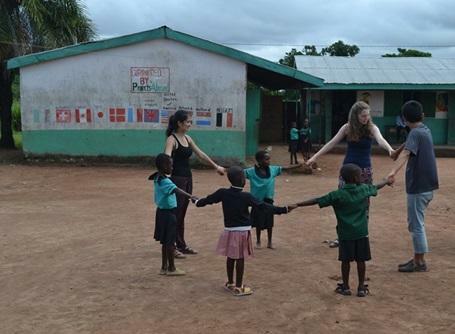 For the remaining time in Ghana, participants will roll up their sleeves and get involved in a day care centre located in the rural Akuapem Hills, two hours away from Accra. This is a time for the group to implement volunteer work first hand, using what was learned during their orientation week. Projects Abroad staff and the local staff at the day care centre will be close by to help volunteers ease into their role.